One look at Allure Films’ footage from Kaileen and Kyle’s beautiful wedding, and you’ll think you’ve been whisked away to the middle of a fairy tale! After a heartwarming morning getting ready at her childhood home, Kaileen was chauffeured in a classic car to St. Francis of Assisi Parish, where she would tie the knot with her Prince Charming. Kyle was all smiles watching his bride walk down the aisle, and who could blame him! It was clear, from the moment our lovely bride and groom exchanged first looks, that they are truly a perfect match. There was hardly a dry eye in the house as the couple exchanged vows. You could really feel the love this couple shares as Kaileen held back tears of joy at the alter. 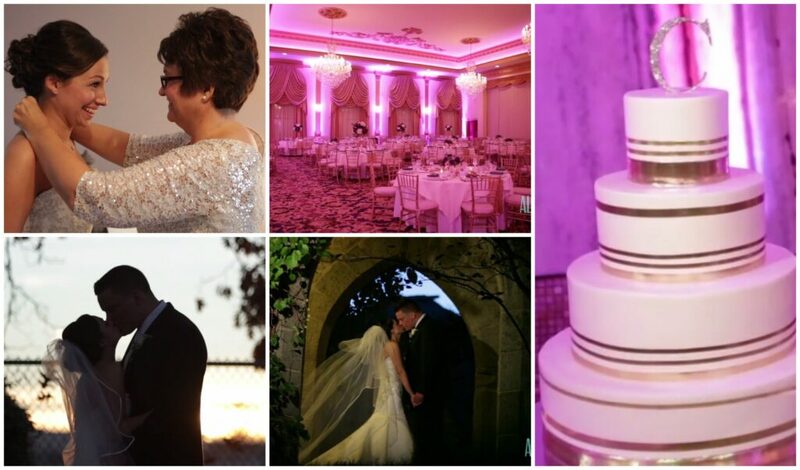 Following their vows, the new Mr. and Mrs. took advantage of the beautiful scenery and stunning architecture of Lucien’s Manor to pose for the Allure team and the awesome photographers from Baiada Photography. After the photos were taken (and many kisses were stolen! ), it was time to party! Lucien’s Manor has seen its fair share of celebrations over the past 100 years. With breathtaking waterfalls (inside and out), and a romantic grand staircase, this venue was the perfect choice for Kaileen and Kyle’s big day. Allure Films was excited to be a part of such a spectacular day, and to celebrate with such an amazing bride and groom. Thank you for letting us document one of the most important days of your life, and congratulations Kaileen and Kyle!